Train 4 The Game (T4TG) is nationally recognized as an elite rehab, sports performance, and overall fitness facility. In their three-day seminar, their team of elite coaches demonstrates how to incorporate revolutionary training philosophies and techniques into your fitness or therapy program. 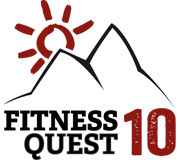 Todd Durkin and his world class team have developed an exciting opportunity for industry professionals to experience Fitness Quest 10 first-hand. Mike Boyle Strength and Conditioning invites strength and conditioning coaches, personal trainers, physical therapists, athletic trainers, and other health professionals to participate in its Strength and Conditioning Mentorship Program. This program was designed to educate industry professionals on current training techniques through physical participation, workout observation, and in depth discussions with Mike Boyle and his qualified staff. Participants are introduced to the latest injury reduction and performance enhancement modalities of training. opportunity to learn from the world-class staff at EXOS in a facility that is second to none.